Basic custom imprint setup & PDF proof included! A modern desk pad with ample room for monthly notes. 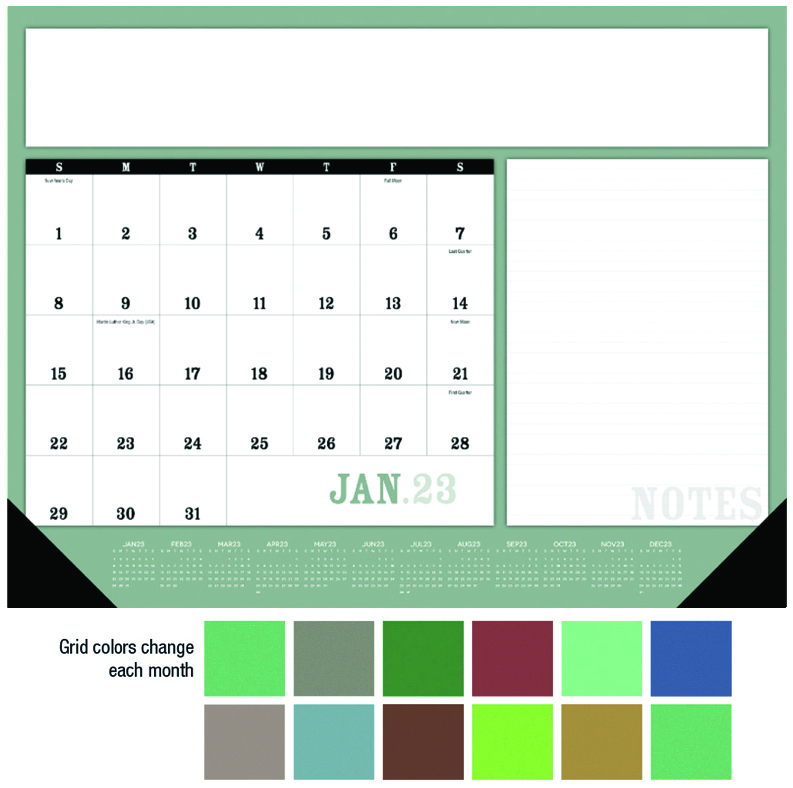 This large desk pad calendars features a large, lined note area with grid colors that change each month. Black vinyl corners included standard. 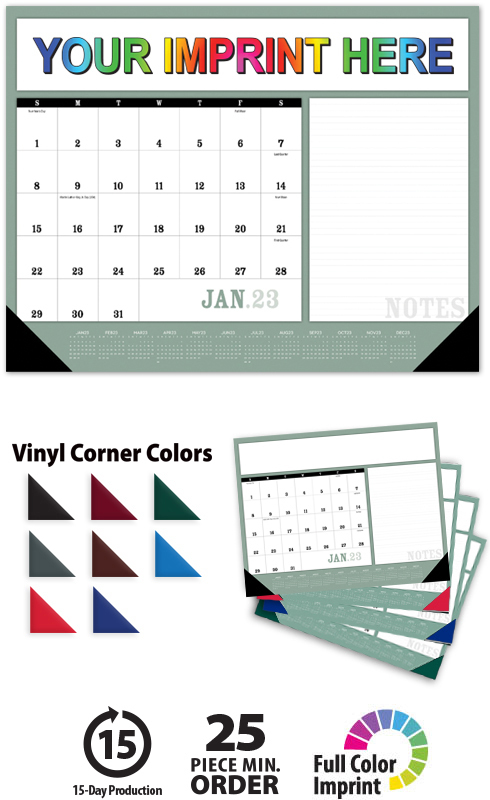 This high-quality Modern Desk Pad Notes Calendar will proudly display your message for the entire year!